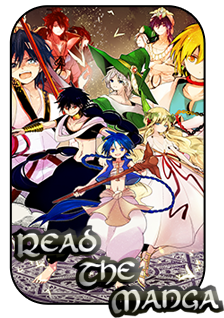 Magi: The World of Magic » The Tavern » Other » Find An RP Partner » Romance Rp partner wanted. Believing love is the only true conquer to hate and rage am wanting romance Rp partner. Simply because I want my beliefs to be represented on the matter of love vs hate. A very strong part of who I am now vs who I was at one time. This is something I want my character to experience and feel himself. Please do take into mind my character is a male adult who is homosexual. Rima's big brother Setekh might be interested. He is kind of homo. Due to fact that setekh having a darker side as well as a lighter one I think he would be better suited in my opinion my reasoning is as stated. Jacklyn loves being treated kindly or in a caring manner however is uncontrollable to an extent that is if he thinks he is in danger. The differing mindset caused by a brutal past is safer for both sides when they first meet one another due Jacklyn being a berserk. And thank you both for replying to this at all also a side note Rain being 17 did also effect my choice as well. Also, isn't Setekh Diana's magician? Sorry I didn't think someone would ever think to involve or mention a character they do not own. This wasn't a part of my equation nor would I have thought others to think this either. Also if rain is of age then yes I would be more then happy to meet him ICly. You... also do realize Magi is set in a time similar to our 13th-15th century, right? The 21st century is drastically different from the 13th-15th century, but back then kids were considered adults when they hit puberty or around then. So by 13th-15th century standards, he would be working already (except for the fact he just does odd jobs that include fights because he doesn't like anything else x_x). You could always talk to Diana about it. Or it is possible she had handed the reins of Setekh to Rima? I dunno. However, I do wonder how they would meet up. You'd have to be in the Mainland and if I recall correctly, only magicians can take jobs off the boards in Magnostadt. Sorry to have taken such a while to reply been a little busy as of late. Honestly I hadn't considered such factors but given the era I see no harm in your proposal. Please forgive the wait I try my best not to let my life effect my the attendance I give to the site but things happen. Where would Jacklyn need to go at the moment to meet Rain and since I requested this I feel I should be the one going out to see it though. Uh, well... I'm currently wrapping up a job in Kou before I send him off to Reim. 10 Re: Romance Rp partner wanted.